The Toronto Star called him a legendary figure in Canadian writing, and indeed George Fetherling has been prolific in many genres: poetry, history, travel narrative, memoir, and cultural studies. Plans Deranged by Time is a representative selection from many of the twelve poetry collections he has published since the late 1960s. Like his novels and other fiction, many of these poems are anchored in a sense of place—often a very urban one. Filled with aphorism and sharp observation, the poems are spare of line and metaphor; they display a kind of elegant realism: loading docks, back doors of restaurants, doughnut shops with karate schools upstairs. In the introduction, A.F. 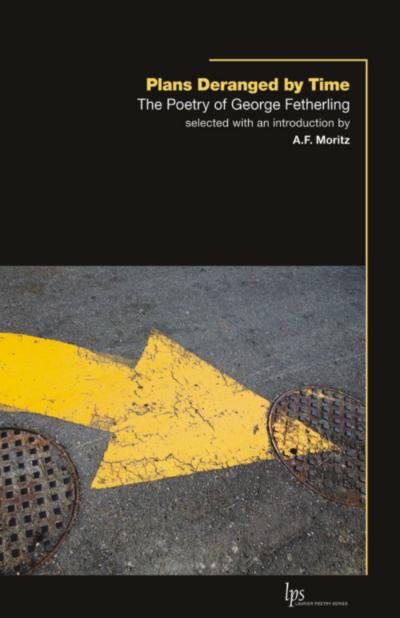 Moritz places Fetherling in the modern picaresque tradition in the aftermath of Eliot and Pound, highlighting his characteristic speaker as an itinerant cosmopolitan outsider, a kind of flâneur, impoverished and keenly observant, writing from a position of “communion-in-isolation.” He contrasts Fetherling’s contemplative intellectualism with that of the public intellectual and highlights this outsider’s fellow-feeling, making the poems indirectly political. Fetherling’s afterword is an anecdote-anchored exploration of what the poet sees as his two central approaches—“the desire to create new codes of hearing” and “writing-to-heal”—and how they are reflected in the collection. Order this title from WLUP.